I participated in an Influencer Program on behalf of Dad Central for ROGAINE®. I received a product sample and promotional item to thank me for participating. To read more about Dad Central, please click here. Hereditary hair loss affects up to 40% of all men and more than 15 million men (myself included) admit to being concerned about the condition. Luckily, Men’s ROGAINE® Foam is the first easy to use foam FDA approved to help regrow hair containing 5% minoxidil, the ONLY topical ingredient FDA approved to help regrow hair. 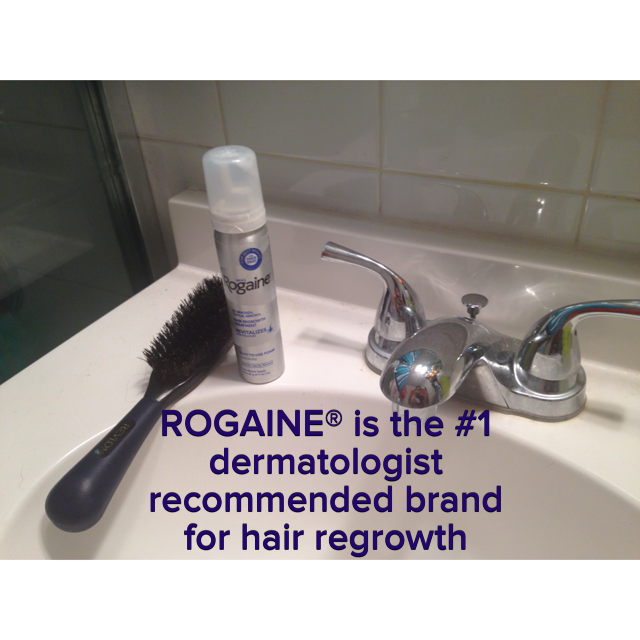 In clinical testing Men’s ROGAINE® Foam regrew hair in nearly 9 out of 10 men when used twice daily over 16 weeks. I am one of these of these millions. I can’t remember when I started using ROGAINE® Foam, but I do know that is has rapidly slowed my hair loss over the years. My wife has told me on numerous occasions that my hair looks very similar to what it did 4, 5, 6 years ago. I can thank ROGAINE® for that because losing my hair was just another thing damaging my confidence. Hair loss doesn’t just affect us normal schlubs. As you can see by all the crazy toupees (see Burt Reynolds, William Shatner, et al) and hair weaves (Elton John), people in the public eye are just as affected. Bill Rancic, the first winner of Donald Trump’s successful reality program, The Apprentice, is one such person. Mr. Rancic, currently a motivational speaker, real estate developer, restaurant owner and author of a New York Times best-selling book on business, joined with ROGAINE® and Men’s Health in May 2012 as a “Growth Coach” to form an initiative dubbed “GROW YOUR GAME™“. The program, which has Mr. Rancic mentoring 5 regular guys dealing with hair loss and tackling life, is designed to inspire men struggling with hair loss to regain confidence in their appearance and lives, a must in this image-obsessed world. 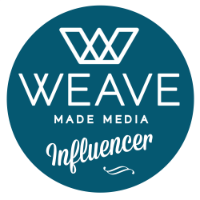 Using interactive social media platforms that, much like a successful reality program, GROW YOUR GAME™ will show these particular 5 men experience results over time via daily updates, barbershop check-ins and even bar meetups. It’s nice to know that someone like Mr. Rancic is indeed like me – worried about hair loss, appearance and the associated loss of confidence. I’m just a regular person, a stay-at-home dad struggling with similar issues as an entrepreneur such as Mr. Rancic. There’s a comfort in that…a bond, if you will. I appreciate that he’s taking the time to motivate these 5 men and head the GROW YOUR GAME™ initiative. I remember being a little kid and wanting to explore my dad’s face and hair with my hands…something all toddlers like to do. Any time I came close to my dad’s hair, he’d pull his head away or move my hands because he was afraid my touching would contribute to his hair loss. I don’t want that for Sienna. I want her to be run her fingers through my hair at will as a means to bring us even closer together. Father and daughter. I know my using ROGAINE® has helped me overcome those same fears that ran through my father’s mind thereby letting my daughter tug at my hair and giggle. I want her to feel free and unafraid. The answer to me is simple: bonding. Dads need to give their children tons of physical and emotional affection, hugs and compliments and reassurances by the zillion. A successful dad is a loving and caring dad, and my Sienna will never lack for love. This entry was tagged Bill Rancic, Hair Loss, Rogaine. Bookmark the permalink.